This chapter is an extension of our earlier work in combining and comparing rough hybrid approaches with neuro-fuzzy and partial decision trees in classifying software defect data. The extension includes a comparison of our earlier results with linear and non-linear support vector machines (SVMs) in classifying defects. We compare SVM classification results with partial decision trees, neuro-fuzzy decision trees(NFDT), LEM2 algorithm based on rough sets, rough-neuro-fuzzy decision trees(R-NFDT), and fuzzy-rough classification trees(FRCT). The analyses of the results include statistical tests for classification accuracy. The experiments were aimed at not only comparing classification accuracy, but also collecting other useful software quality indicators such as number of rules, number of attributes (metrics) and the type of metrics (design vs. code level). 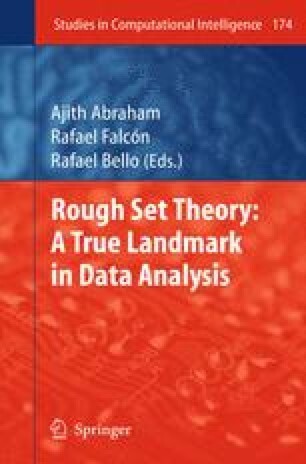 The contribution of this chapter is a comprehensive comparative study of several computational intelligence methods in classifying software defect data. The different methods also point to the type of metrics data that ought to be collected and whether the rules generated by these methods can be easily interpreted.